Joe started I-70 Auto Service, in 1976. 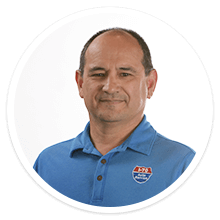 He is an ASE Master Technician and ASE Service Consultant. Joe is married with two grown children, loves to travel with his wife and spend time with his 6 grandchildren. He was selected as the 2014 NAPA/ASE National Technician of the Year. Joe is a 2017 graduate of the Automotive Management Institute with a degree in Master Automotive Management. Tyler started with I-70 Auto Service in August 2009. He is a graduate of Wartburg College where he was a National Wrestling Champion. Tyler is married and has one daughter. He enjoys spending time with his family and playing soccer. Tyler is a 2014 graduate of Automotive Management Institute with a degree in Automotive Management. Michael started with I-70 Auto Service in October 2016. He is an ASE Master Technician with an L1 certification. He works on a wide variety of vehicles - Domestic, Asian and European. He enjoys working on different makes and models to challenge and strengthen his abilities. He started at the age of 13 tearing apart cars in his family's garage. At age 16, he started his career at an automotive shop. 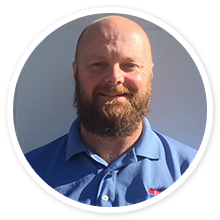 With 23 years experience, Michael feels you can always improve and he continues to learn and grow with the ever changing industry by continuing education. Michael takes a great deal of pride in his work and every aspect of his life. He has a wife and daughter that he spends all of his time with outside of work. 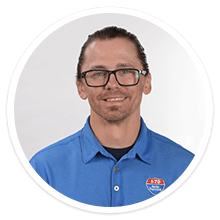 Derrick started working with I-70 Auto Service in March 2017. He is an ASE Master Certified Technician. Derrick started working on cars before he ever knew that was what he wanted to do for a career. By the time he was 18 Derrick had already been working in a shop for more than a year and decided it was what he wanted to do. At that point Derrick decided to go to school to actually learn about cars. In 2001 he graduated from Universal Technical Institute with an associate's degree in automotive, diesel, and industrial technologies and has been growing his knowledge ever since. In 2009 Derrick got married and in 2010 he had his first of two boys and loves every minute he gets to spend with them and his wife. When not spending time with his family or working Derrick enjoys working on his old cars and spending time with his car club doing car things. Essentially cars are an everyday part of Derricks life. 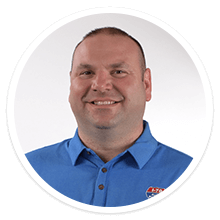 Shane Edwards joined the I-70 Auto team in July of 2018. He is married with 4 children and loves spending time with family. Shane is originally from the Lake of the Ozarks area. He grew up around the auto shop environment as a child because his Dad ran an auto shop at the Lake of the Ozarks. Shane had recently been managing an auto shop in Savannah, Georgia before relocating back to Missouri. Joey started at I-70 Auto Service in May 2018 after graduating from Blue Springs High School where he attended the Fort Osage Career Technology Center. He completed the two year automotive program and is currently working on his associate degree in automotive technology at Longview Community College. Joey plans on becoming an ASE Master Technician. In his free time, he enjoys playing music on his drums & guitar.